In the brave new world of folding touchscreen devices, companies are throwing every random design at the wall, hoping one of them will be the device that consumer’s embrace. 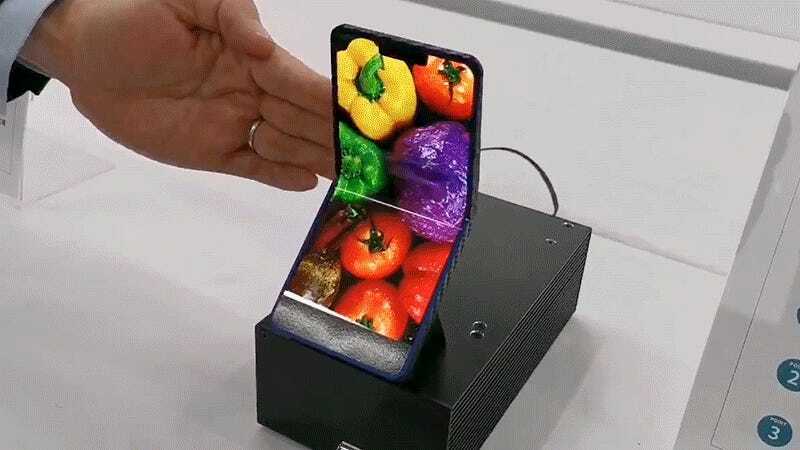 Sharp, who started producing flexible OLED screens back in June of 2018, recently showed off a prototype of a smartphone that folds vertically, like the clamshell cellphones of yesterday, or the modern Game Boy I hope Nintendo actually makes. According to EngadgetJP, who got a hands-off demo of the device, Sharp’s prototype features a 6.18-inch OLED display with an elongated WQHD+ 1,440 x 3,040-pixel resolution. It’s reminiscent of Sony’s new Xperia 10 and Xperia 10 Plus devices with their long 21:9 displays, but while we found those too lanky to comfortably use, Sharp’s would be much easier to pocket given it folds down to half its size. As with the Samsung Galaxy Fold, the inward bending approach would put more stress on the folding screen given the smaller radius it has to compress to, which results in a more apparent crease in the middle of the display. But Sharp’s representatives told EngadgetJP that the company’s screen tech can survive over 300,000 bends before the wear and tear starts to physically damage the OLED. Even if you’re checking your phone 100 times a day, that’s over eight years of use, which is much longer than most smartphone users hold onto a device. 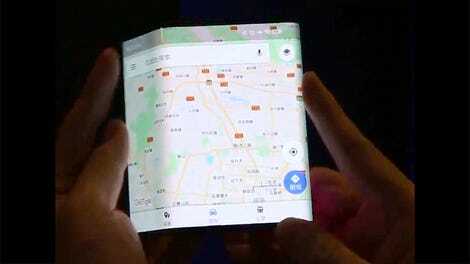 Sharp’s representatives wouldn’t comment on if or when Sharp plans to introduce the folding screen technology on its line of Aquos smartphones, but it did confirm that the screen could be implemented with an outward folding design as well. It’s been rumored that Motorola plans to revive its popular Razr as a bendy phone as well, which would feature the same design approach as Sharp has demonstrated here. But more importantly, will Nintendo beat them both to the market with a bendy screen Game Boy? The company’s history of avoiding the latest-and-greatest hardware makes me feel like it’s a long-shot, but that’s not going to stop me from dreaming about it.